← Jahlil Okafor To The Knicks? The answer could be a resounding yes. I emphasis that word because it strongly hinges on what the Minnesota Timberwolves decide to do with the first pick. ESPN’s Chad Ford reported less than a month ago that 28 of 30 teams prefer Karl-Anthony Towns over Jahlil Okafor. Although that may be 93 percent of the teams in the NBA, early reports are surfacing that Flip Saunders is one of the few that prefers Okafor. There is of course plenty of time for minds to be changed after workouts and interviews for these teams, and whether or not one of the two big men try to force their way to Los Angeles. 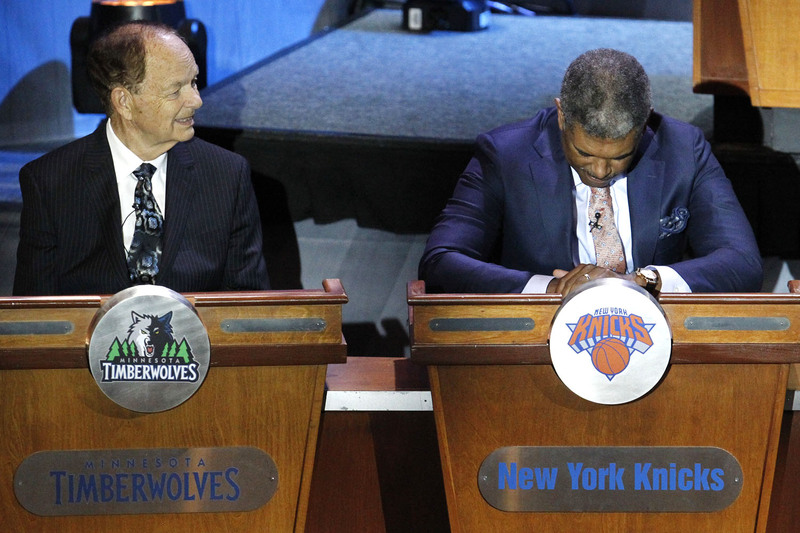 But the only way the Knicks really lose out here in my mind is if the Timberwolves select Okafor first overall. As we’ve stated before here on SixFouls, Okafor is not a top-four player on our board. There are too many flaws in his game both offensively and defensively to be selected ahead of Towns, D’Angelo Russell, Emmanuel Mudiay or Justise Winslow. So if everything goes according to plan – Towns, Okafor, Russell or Mudiay top three – then the Knicks should be sitting at fourth with a stud guard waiting to be taken. With Towns off the board, either point guard is the easy pick to me at number two if I were the Knicks and since they’ll be sitting at number four with likely the same player available they can end up being draft day winners. It may not seem like a huge deal but by simply dropping from second to fourth and presumably ending up with the same player, the Knicks can save themselves nearly a million dollars in cap space for this off-season. If the cap does jump to $67 million like it’s expected to, the Knicks would have just under $27 million available and that’s including the $3.4 million tied into their first-round pick. So if the Knicks are fortunate enough to land a max player like Marc Gasol who’s first year would cost them $20 million, they would still have just under $7 million to try and sign a quality role player. Even if the Knicks don’t land Gasol but instead sign Greg Monroe who’s first-year salary would cost them $15 million, it would leave them about $11 million to sign another nice piece to go with Monroe, Carmelo Anthony and either Mudiay or Russell. So while it seemed like the basketball gods are out to get the New York Knicks according to their fans, the reality is they are going to land a high-end point guard at No. 4 and it’s very possible they would have taken the same player at No. 2 so if the end result is the same player at less money then it has to be a win-win, right? Don’t worry Knick fans, the world didn’t end when Deputy Commissioner Mark Tatum pulled out the Orange and Blue before the top-three. The plans for the future are still firmly in place. Just try and be patient. For once. My name is Derek and I’m the founder of the Foxsports/Yardbarker.com syndicated sports and entertainment site nocoastbias.com. In short, the site is a hub for the most talented writers from all over the country and I think you would be a good fit. If you’re interested, feel free to shoot me an email at derek (at) nocoastbias (dot) com. Thanks!